Outgoing and personable, Lydia is easy to work with and is determined to create success for her clients. 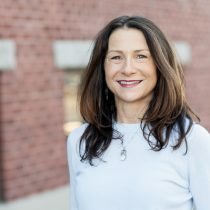 Given this, she has been recognized in the past as one of the Seattle Bisnow 2016 Top 30 Power Women in Commercial Real Estate, as a Mover and Shaker (2015), and as a finalist for Businesswoman of the Year. Her approach is to discern the outcomes her clients want, then to get them there in a positive and collaborative way. Lydia’s private sector commercial real estate experience includes advisory and brokerage services for office, industrial, retail, and multi-family investments. She loves putting deals together and making them work for both parties. During the years 2005 – 2013 Lydia worked in a public sector for a port authority as their director of real estate. She also was the commercial real estate expert on the planning and development team for the adaptive reuse of a 220-acre waterfront brownfield site. Lydia’s contributions to the real estate community locally and regionally have resulted in a wide-reaching network of local, regional, and national real estate professionals and consultants. Additionally, she is a senior instructor for the CCIM Institute, teaching analysis and negotiation courses throughout the US and internationally; has been a national trainer for Coldwell Banker Commercial and C21 Commercial; is on the Western Washington University (WWU) College of Business and Economics (CBE) Executive Advisory Board, the WWU CBE Center for Innovative Education Advisory Board, and is a guest lecturer at Western Washington University (WWU).